I was born in a small town of northern Kyushu island of Japan in early Spring. I was a shy kid. I liked looking for fairies in grass and reading adventure stories from my gigantic book case. My parents were great patrons of cultures and art and made sure I had many opportunities to grow artistically. It seemed like I have been painting and drawing from my first breath. My school note books are filled with drawings. My professional art career started in the graphic arts field in Fukuoka, Japan in the early 1990s. After graduating from Seinan Gakuin University with a BA degree in French and Nihon interior design school with a BA degree in design and rendering, I founded Atelier Yume-Tsumugi Ltd. I operated that studio successfully for 5 years. I emphasized working on a variety of projects with varying requirements rather than a distinct style. Many of my works are displayed in hospital lobbies, corporate offices, and commercial building entrances in Japan. In 1998, I broadened the scope of my endeavors to include projects in the United States. In the US, I decided to start concentrate on oil painting. I had always wanted to paint with oils in Japan, but slow drying oils were not realistic with the short deadlines of my commercial clients. Now I could do it. San Francisco, with its vibrant arts culture, became my second home and was a source of much inspiration. For a while, I felt disadvantaged because I was a foreigner learning a second language. Now I know that my differences are my strength and I can combine my Japanese and San Francisco backgrounds to produce powerful and unique art works. When we tap into our powers of imagination, we are blooms of possibilities. I believe that I am one of the happiest creatures in the world because I have found what I am meant to do on this Earth and what I want to do from now on. * To lean about Hiroko more, check the page; "A life path why I’ve ended up to be in San Francisco"
Hi Hiroko, I came across your blog on CL, as sometimes I think about moving to the Bay area. I live in ABQ, NM now and I lead a simple, frugal artistic life. I’m also still trying to find my voice. I was very moved by your personal story and you’re one of the few artists that I truly respect. I hope one day we can meet for tea. If you have time, please check out my site, would love to hear from you. Thank you, Josh, for your sweet comment on my story. It is always wonderful to meet new fellow artist friend. We are lucky to be in the modern world with internet. San Francisco is an interesting city for artists. I bet you love your new life here. Have a beautiful day. Hiroko your story is sad. How did u get deceived into such a marriage? “Look before you leap”, specially into marriage! And the US authorities!!! what kind of people are they? Hi, Jay. Thank you for your kind comment. Yeah, I was just young and stupid* But you know, I think it was also a great lesson for me to live today good. It gave me wisdom and strength to protect my little wild’s life here in San Francisco. I know this is a long shot, but I was wondering if you visited american when you were younger and stayed with a family in the Seattle, WA area. 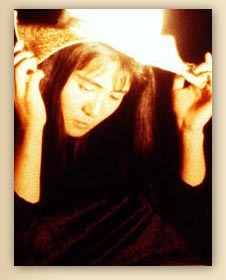 It would have been around 1987 to 1989.
i am afraid i am not the Hiroko. i’ve never visited Seattle. i hope your research will find your friend soon.